About Bejan Daruwalla – the astrologer-par-excellence! 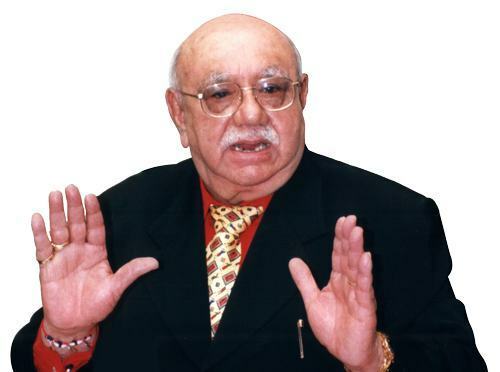 The world-renowned, revered astrologer and prophesier Shri Bejan Daruwalla is not someone who needs a lyrical and eloquent introduction. His name and his illustrious line of work speak well enough for him. Born on 11th July, 1931, Bejanji is an ardent devotee of Lord Ganesha even though he hails from a Parsi (Zoroastrian) background. Loving and kind-hearted, Bejanji has won numerous accolades and widespread recognition for his unerring predictions. While a plenty of astrologers tend to follow one or two techniques to make astrologers predictions, Bejanji is known to combine the principles of Vedic and Western astrology, I-Ching, Tarot, Numerology, the Kabalah and even Palmistry. The right combination of these principles enables him to make highly accurate and relevant predictions. Moreover, naturally gifted with a spectacular intuitive prowess, he listens to and relies on his inner voice, and seeks Ganesha’s blessings to foresee and predict. Bejanji has been closely associated with a number of newspapers, magazines, television channels and publishing houses all over the world. He is the brand ambassador and force behind India’s No. 1 astrological website – GaneshaSpeaks.com, on whom he officially conferred his astrological legacy. He has also appeared on NBC and ABC TV channels in Columbus, Ohio, and was featured on the BBC, in Hard Talk India in August, 1999. Moreover, Bejanji’s vision and accurate predictions have earned him a place in the coveted group of best-selling Indian authors. His articles/ predictions are regularly published and carried in The Sunday Times of India (Bombay, Kolkota, Delhi, Chennai), Telegraph (Kolkota), Navhind Times (Goa), Dell Annual Horoscope (New York), News India (New York), Berkley Communications (London), besides others. Bejanji’s achievements and accuracy have been appreciated and acknowledged by many. Bharat Nirman, an all india organization that promotes and takes up constructive program in all walks of life, awarded him the title of “The Astrologer of the Millennium” on August 27, 2000. Also, the Federation of Indian Astrologers has awarded him the highest degree of Vedic Astrology – Jyotishi Mahahopadhyaya, whilst The Russian Society of Astrologers of St. Petersburg had conferred on him the Best Astrologer of 2009 award. However, he considers the highest and the most precious reward and award to be the love and affection that his followers shower upon him, and Ganesha’s blessings that have always enabled him. The force-par-excellence behind GaneshaSpeaks.com, right since the service’s inception, Shri Bejan Daruwalla is GanehaSpeaks.com’s brand ambassador. The organisation’s fountain-head of wisdom, he, in the year 2003, had formally inaugurated the website and its path-breaking range of astrological services. In the last few years, owing to his failing health, Shri Daruwalla has been forced to cut down on his active role in the organisation. However, he officially named GaneshaSpeaks.com and its team of astrologers as his successors a few years back, and now guides and nurtures GaneshaSpeaks’ team. “By the grace of Ganesha, I have spent most of my life studying and practising astrology, and have thus acquired a lot of experience and knowledge. I want to leave it behind for the betterment of mankind and thus entrust GaneshaSpeaks.com team to keep my art and name alive in the times to come”. Shri Bejan Daruwalla had said these very words, while announcing the succession of his legacy to GaneshaSpeaks.com. He has been associated with the selection of the core team of astrologers at GanehaSpeaks.com to ensure the passage of knowledge to the right hands. And today, the way GaneshaSpeaks.com has been matching people’s expectations and guiding them in the right direction, one thing is for sure that Bejanji’s has indeed chosen the right team to continue his legacy of positivity, reliability, accuracy and trust.